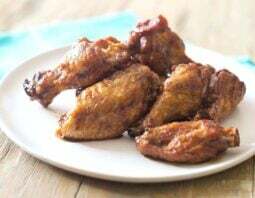 Does baking powder on chicken wings really make them crispier? 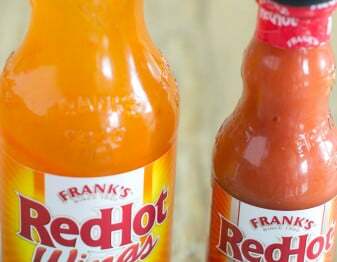 We did the side-by-side taste test to find out. Read on, grasshopper. Our mission: the best par-cooking method for crispy baked chicken wings. 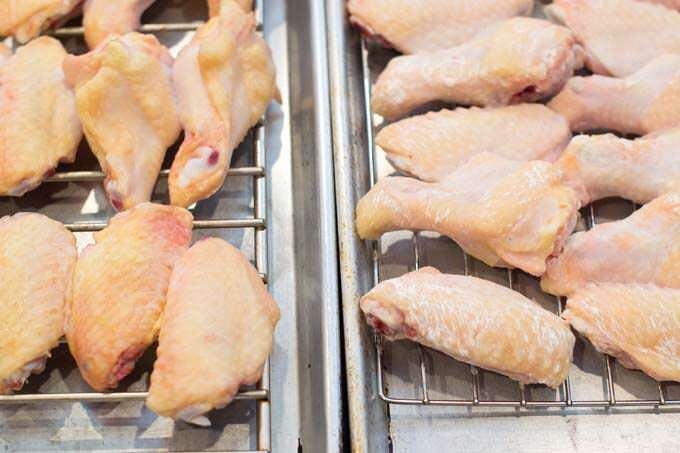 We started by researching a method to provide a dry crust on baked wings. 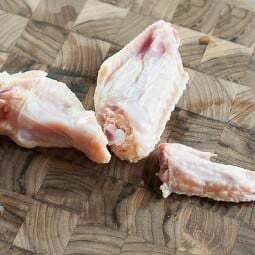 This method, which uses baking powder to lower the chicken’s pH level is explained in greater detail in our previous article. However, what was the difference between that method and simply baking the chicken without any additional ingredients? Does the baking powder really make a difference? This was something that we needed to find out for ourselves. 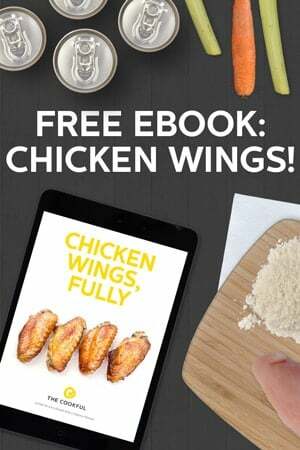 We prepared the same amount of wings for the experiment, with one batch of wings coated in baking powder and salt, and the other plain. We let them cook in a 250°F oven for 30 minutes, then took them both out to evaluate visual differences. On the left are the plain, and the right are the wings coated in the baking powder. Already a color difference was apparent. 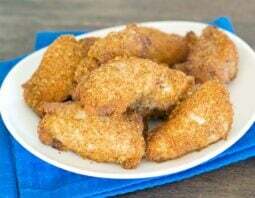 The plain wings were a yellow tinge while the baking powder wings looked barely cooked, but dryer. We popped the wings back in the oven at 425°F to finish off the baking. 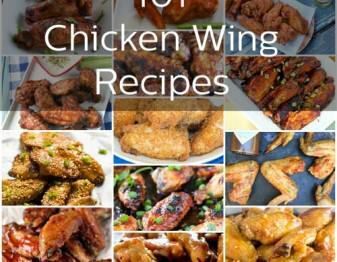 All of the wings are a nice golden brown. The plain chicken, still on the left, is shinier than the baking powdered wings. The more matte finish (it sounds like I’m talking about paint or something) is less oily and much much dryer. Yes, crispier. Yay! Lastly we tasted the two wings and we all agreed that the baking powdered wings were much more flavorful than the plain wings. This can also be due to the fact that we added salt to the baking powder wings. Salt works as an additional drying agent here but it also provided flavor throughout the whole wing. In case you’re wondering, the baking powder did not add a flavor at all. The wings just tasted like nice crispy wings. The end. 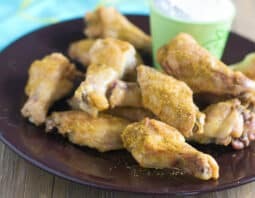 Does baking powder on wings really make them crispier? #TheCookful did the test. How long did you put them back in the oven? The articles title mentions par-cooking but that was never mentioned within the article. 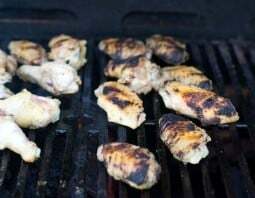 Sean, we tested the par-cooking method by baking one batch of wings for 30 minutes at 250F. It dries them out more than cooks them but is a first step that we wanted to investigate. Your test really is inconclusive because you added salt to one batch not the other. So was it really the baking soda or the salt that made the difference. Thoughts?? Bob, You could be right. I find it doubtful that salt was the only reason for the crispier texture though. BOB, not Baking Soda but Baking Powder!! Thanks, Grace. Yes, powder, not soda. 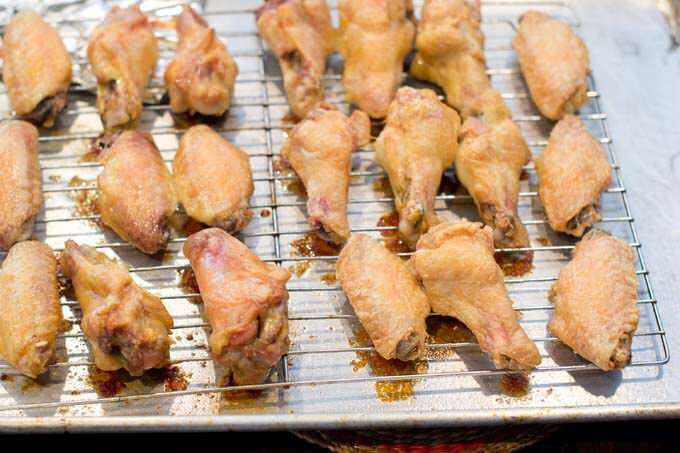 Could you par cook the wings ahead of time then pop them in the oven later? Yes. Put the tray with the racks in the fridge uncovered overnight. It will actually dry the wings out even more which will make the crispier.